The above photo was taken outside a pub after my uncle’s funeral. 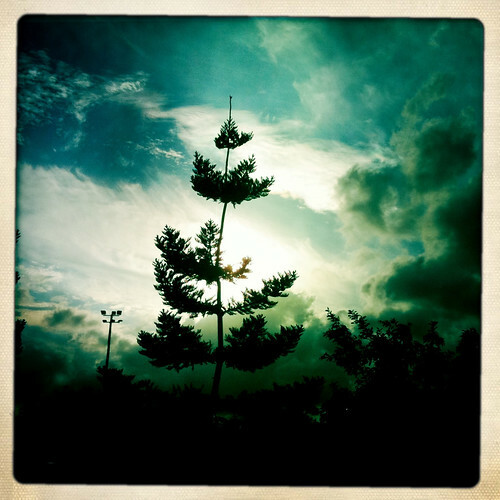 It’d been raining on and off all day and as the sun dropped lower it hid behind the tree and begged me to take a photo. So I did. 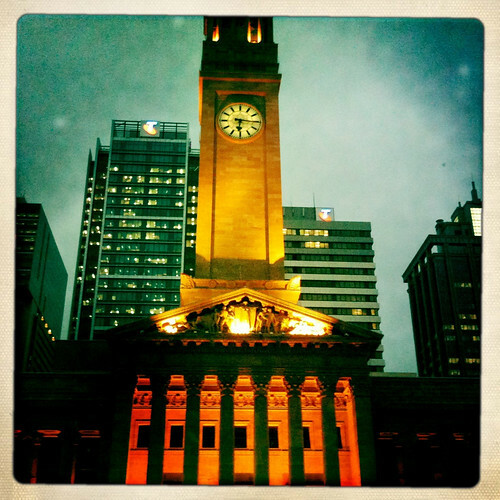 City Hall at twilight. It’s closed for renovations at the moment, but it’s still pretty. 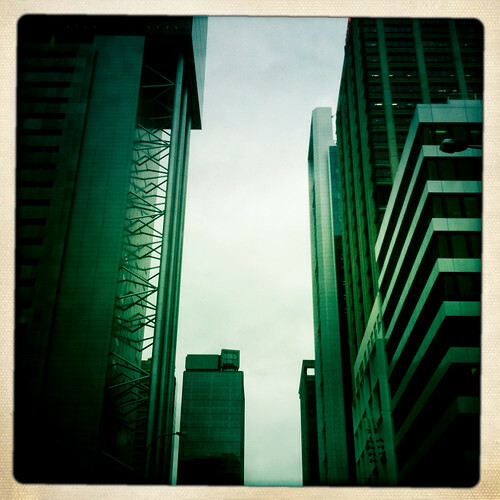 Brisbane is so strange, with a scattering of old buildings strewn through all the glass and concrete. The glass, steel and concrete. I think I took this on Ann St? I can’t remember. 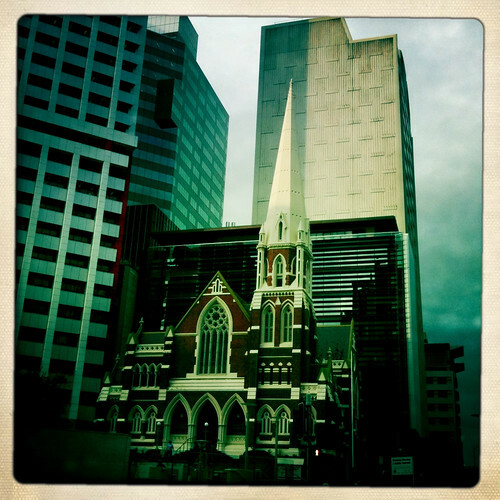 Albert Street Uniting Church looks like a little gingerbread building amongst all the other hard, clean lines. 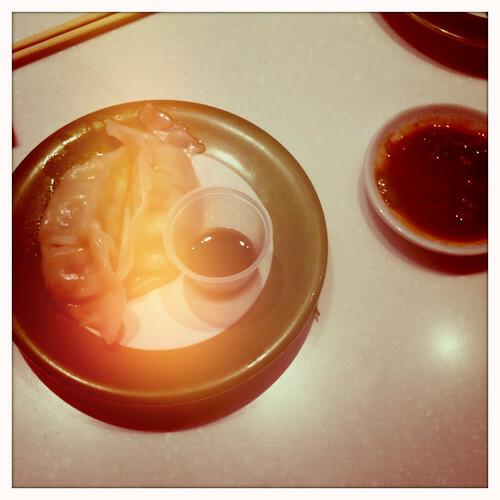 Eating dumplings with Nick at Ginga. If you can’t be nice, Bea Sweet?